The 2nd Annual Flying Fish Festival in Catalina was an exciting weekend. People went out at night in open boats and watched the fish fly through the air when the driver flashed a flood light into the water. They said that sometimes the fish jump up into the boat, but none did this time. 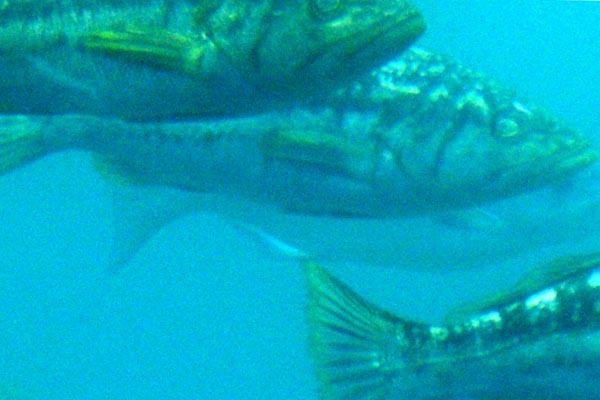 The fish shine like they glow in the dark and fly on top of the water, sometimes for long distances. Everyone on the boat had fun during this night time event. 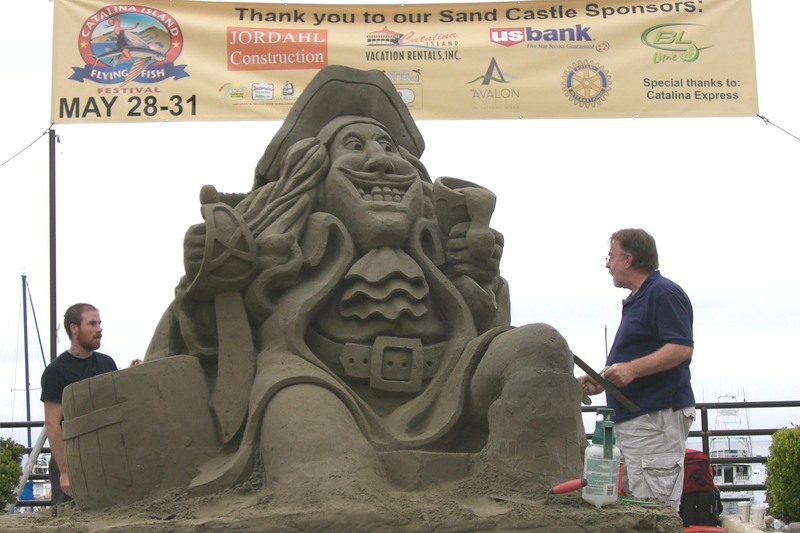 Sand sculptures are on display daily near the pier, and they are huge. Another great way to spend time on Catalina is on the underwater boat trip. You climb down in the bottom of the boat. The boat is lined with large windows, and there are seats to sit on where you can watch the underwater sea life. The driver takes the boat to a special cove where there are large schools of fish and when they throw food huge amounts of fish come to eat. There were so many fish swimming so quickly that it was hard to get good photos. You need to turn the flash on your camera off to get shots of the fish. 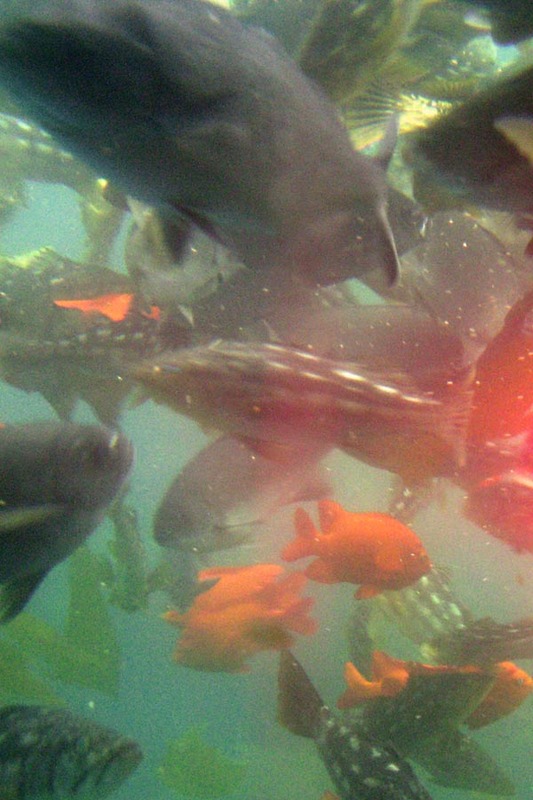 The golden garibaldi fish was the most colorful. The guide tells everyone funny stories about the fish in this area, and is very entertaining. The tour lasts about an hour. There are also buffalo on Avalon that were brought there by MGM to include in a movie they were making, but they left the buffalo on the island when they left. Our guide said the herd got so large and out of control that they gave many of them to an Indian Tribe in New Mexico. He said the buffalo were very happy there! Families can take a bus tour up to the highest point on Avalon, which is where the airport is. 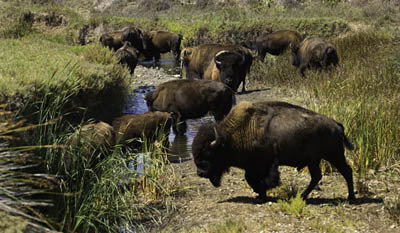 While riding you can see buffalo and fox, but there are no longer any wild pigs on the island. In the summer groups come to these areas to camp, and spend weeks hiking, and swimming. There is also a special school that was formed to study ocean life. 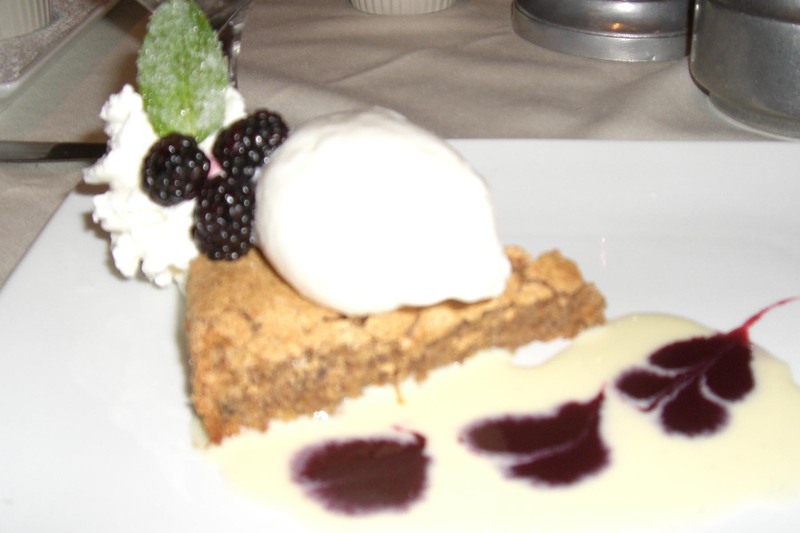 Catalina has many tours and attractions, and has family restaurants that serve good food for adults and kids. 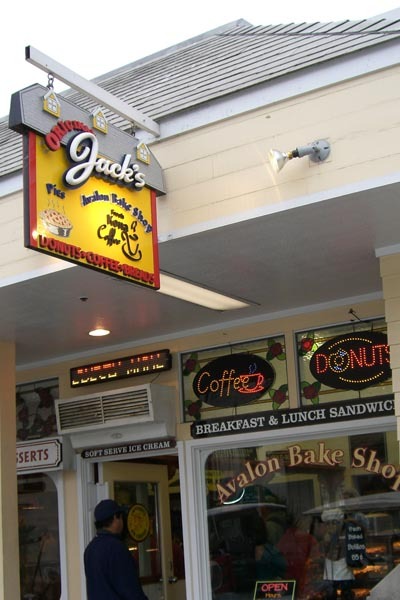 The Descanso Beach restaurant had Buffalo wings with great hot sauce, and Jack�s Country Kitchen has huge breakfasts. For a special dinner go to the Country Club, which is where the Chicago Cubs had their training center when Mr. Wrigley lived on Avalon. He owned the Cubs. This is a very nice dining room that serves scallops and salmon dinners. The desserts are amazing.